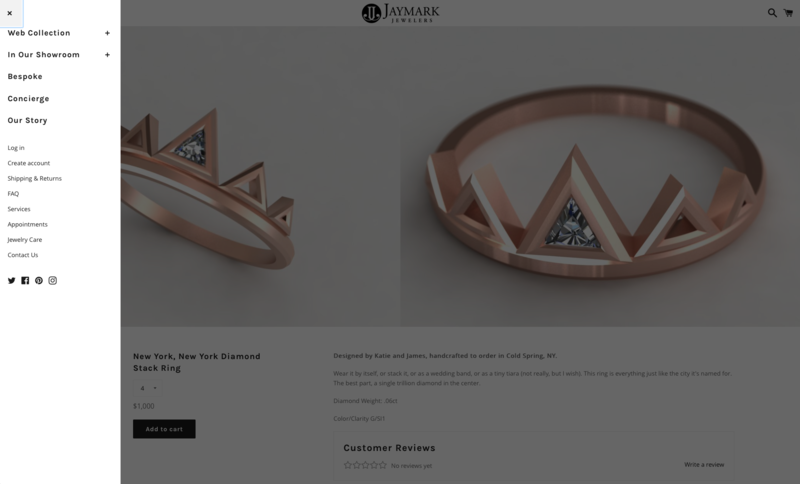 E-commerce website for a jewelry company in New York. Completely redesigned and built in Shopify to introduce new web collection. 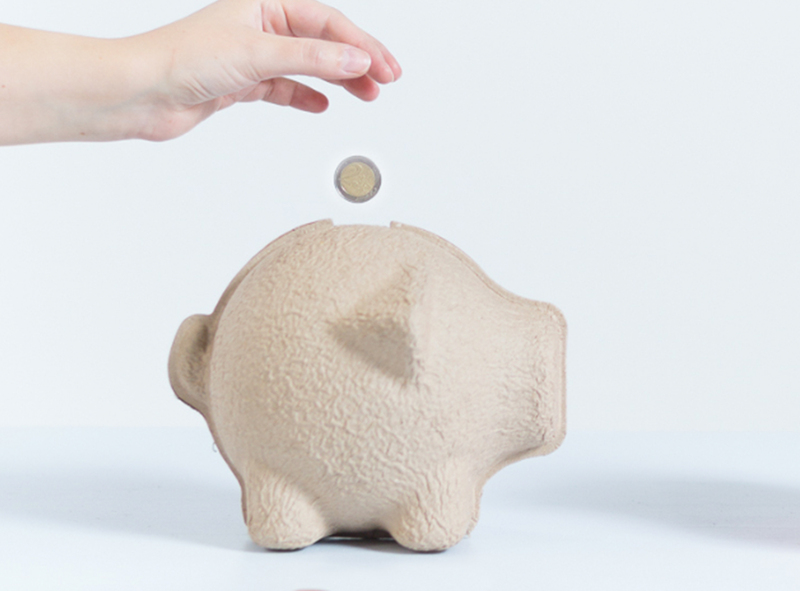 Main goals of the redesign were to reach a younger audience and increase web sales. Launched January 2017. 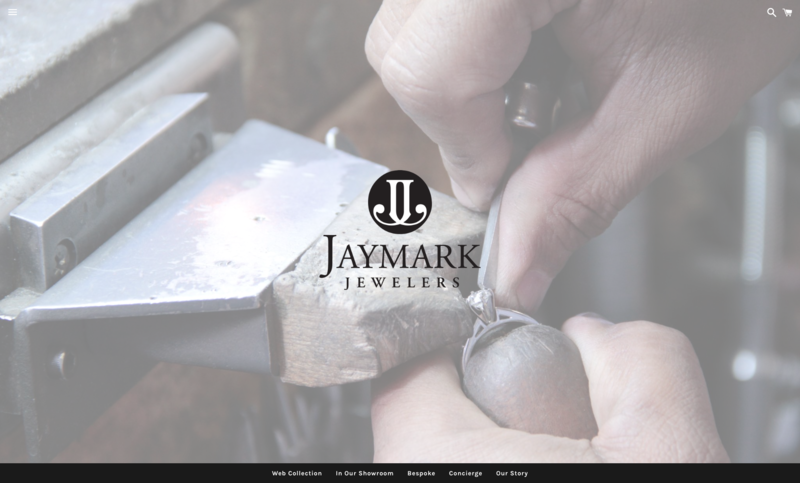 The site BEFORE our redesign was not mobile friendly, did not allow online sales, did not attract new customers, and had no info on Jaymarks extensive bespoke abilities. 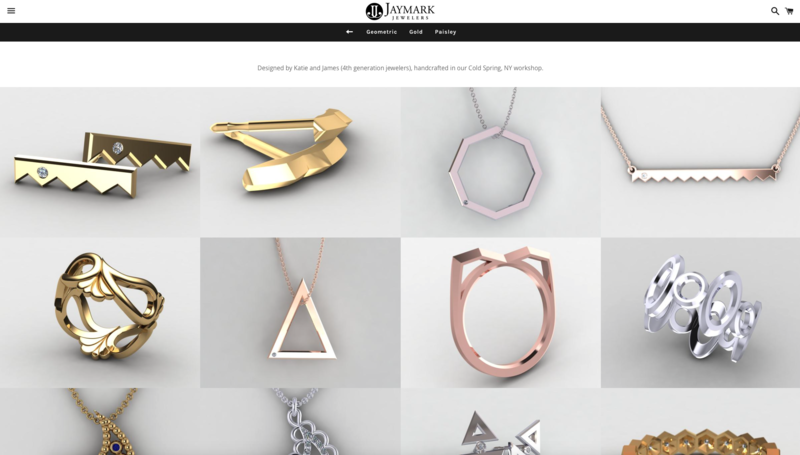 They needed a website to help them attract younger customers and launch a web collection which would be made to order and sold online. The main goals of the new site were to increase online sales, reach a younger audience, and introduce and emphasize the new web collection. 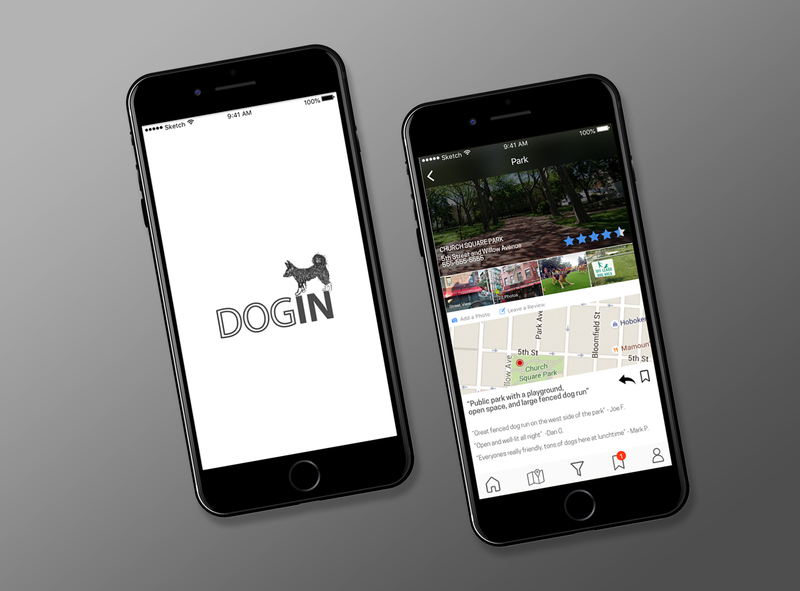 A brand new site designed and built in Shopify. Bigger and cleaner product images. 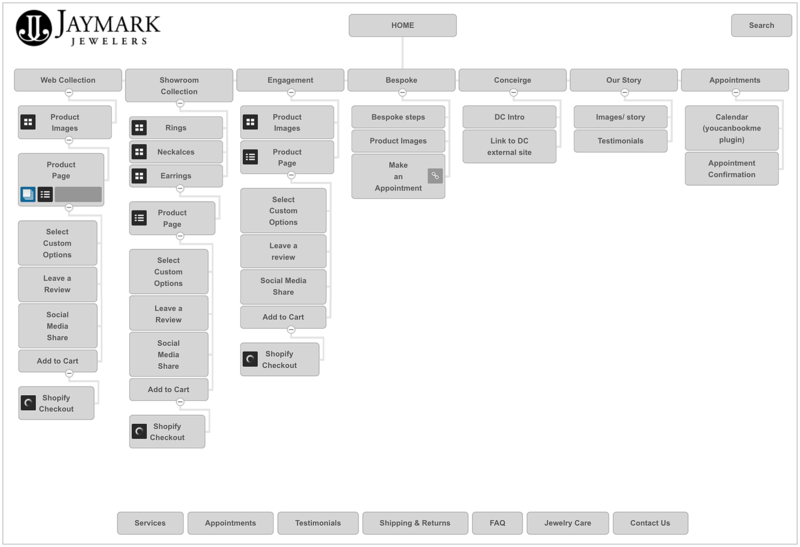 Clear division of new web collection vs. existing showroom products. 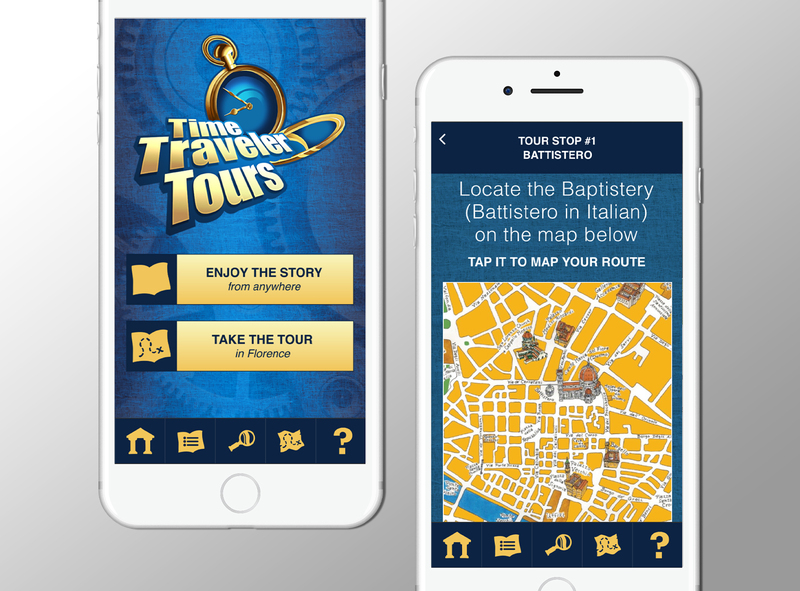 Focus on heritage and company history in "our story" page. 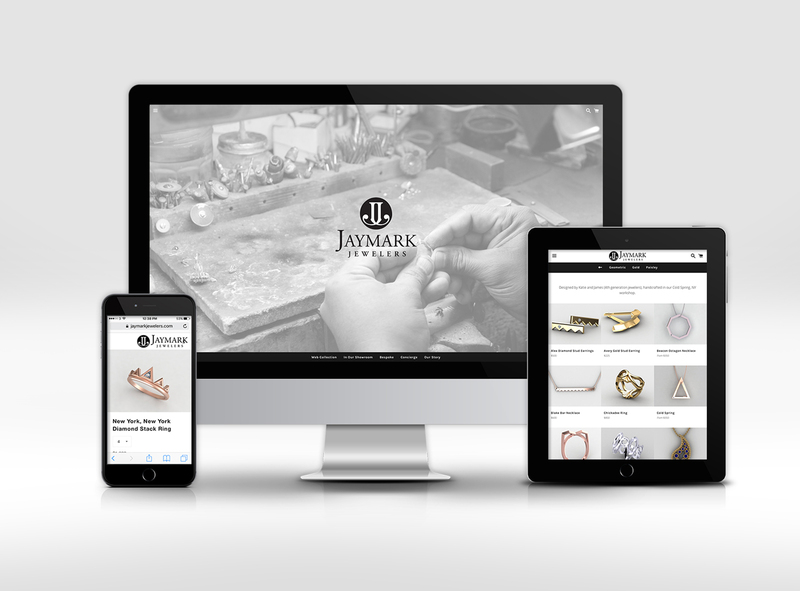 New bespoke page walks user through steps to create their own custom jewelry with Jaymark.